In Florida is home to almost 1,800 golf courses and the quality of the greens leave no wishes open and the service is regarded as unique. The six Gulf regions, where you will find the most golf courses are around Jacksonville Florida, Tampa, Naples, Orlando, Palm Beach and Fort Lauderdale and Miami. Many professional golfers have made Florida their home, and you might be lucky and encounter one of them on the greens. A quarter of the clubs is private, but some of the public spaces are very well maintained, some are even fantastic. Many of these “public courses” have been designed by a famous star designer. The best time to travel to Florida is the European winter; accordingly the golf courses are very busy at his time of the year. This calls for a solid preparation: Either you book a complete package from home, which includes the breakfast buffet up to daily tee time and everything is planned in advance. Or you ask friends or relatives for tips and read through travel guides and get a rental car to drive on your own across the golfer’s paradise. You will need an ESTA visa to enter the USA and you are required to fill out the United States ESTA application form. For the public courses, the price range between 30 and 80 dollars, but in the noble private golf courses can be really expensive. Here are some of the best golf courses in Florida that should be on the bucket list of any ambitious golfer. The Golf Club at Magnolia landing is both the most popular as well as the best Golf Club in Florida. Magnolia Landing’s Golf Course was designed by world renowned golf course architect Gordon Lewis in 2007. The course is located in the North Ft. Myers area and lies close to the surrounding areas of Ft. Myers, Cape Coral, Lehigh Acres, Punta Gorda and Port Charlotte. The golf course features 18 championship golf holes with tee boxes ranging in yardage from 7265 to 4362. 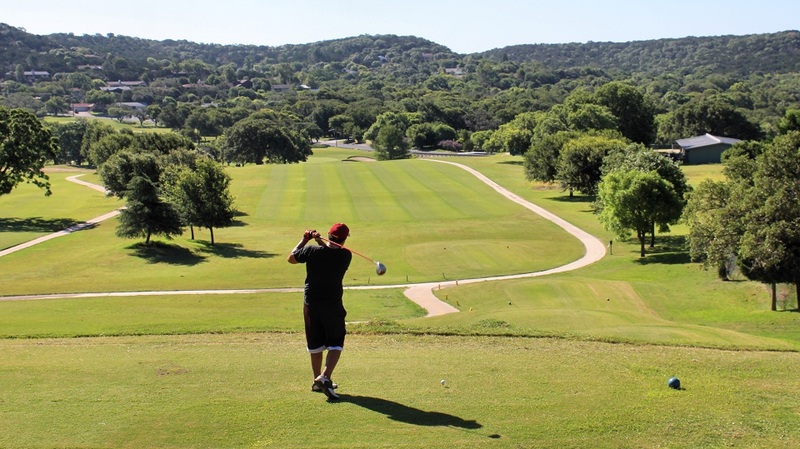 This versatile golf course provides a challenge for every player at any level of the game. The Bay Hill Club and Lodge is a private golf resort located in Bay Hill, near Orlando and the breath-taking course sweeps across 270 acres along the shores of the Butler Chain of Lakes. The annual Arnold Palmer Invitational on the PGA Tour is played on this historic 27 holes golf course since 1979. This amazing resort is located in Palm Beach Gardens, with easy access from multiple major airports PGA National Resort & Spa offers five legendary courses — certain to create the most memorable of golf vacations. The resort boasts not just of its five championship golf courses, but is also famous for its lush, rolling fairways and immaculately manicured greens. The PGA National is also the present home of the Honda Classic, one of professional golf’s most popular events. The resort has also hosted many PGA Senior Championships, the 1983 Ryder Cup, and the 1987 PGA Championship. The Golf Club at North Hampton is located in Fernandina Beach, Florida. This course has the signature layout of golf legend Arnold Palmer and renowned course architect Ed Seay. The Golf Club at North Hampton is surrounded by spring-fed lakes lined with coquina boulders and the wild grass and dunes give it a Scottish style. The course has many special design elements, like bridges and man-made dunes. This high elevation course offers also a perfect combination of the region’s natural beauty and the best of golf course architecture. The fine sugar sand and coquina shell bunkers help to make North Hampton one of Florida’s most exciting and unique courses. This historic golf course is the birthplace of the TPC (Tournament Players Club) Network, and backdrop to the PGA TOUR headquarters. Also the beautiful surroundings in Ponte Vedra Beach make this course to the world’s most famous golf course. Golf enthusiasts will find not one, but two PGA TOUR championship courses, both designed by world-renowned architect Pete Dye. THE PLAYERS Stadium and Dye’s Valley Course offer a well-balanced game experiences. This beautiful golf course is located in Bradenton. The Manatee River and its tidal water areas are incorporated into several of the holes and the fairways are surrounded by palm trees and oaks. Apart from the 27 holes Championship Golf Course, you can also find 8 clay tennis courts, a resort style pool. This stunning resort also offers a 24 hour fitness centre and much more! Voted best golf course in Charlotte County for five years in a row, this 18 holes course is definitely worth a visit. If you want play on all the fantastic golf courses, then plan you golf holiday and start to fill out the USA ESTA application form that collects biographic information and replies to eligibility questions under the USA Visa Waiver Program (VWP). The USA ESTA application form can be filled out and submitted online.